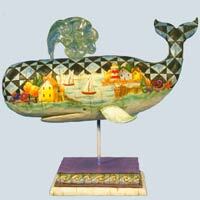 Seaside Whale stone resin figurine. Jim Shore takes nautical to the next level! This generously sized whale utilizes clear resin for added visual interest.